Cloud storage – DropBox, Box, Google Drive, OneDrive, SharePoint, and other services. Websites – public websites, corporate wikis, blogs, CRMs like WordPress etc. Video sharing – YouTube, Vimeo, etc. Photo sharing – Picasa, Flickr, Instagram, etc. Social media – Linked In, Twitter, FaceBook, etc. Accidental deletion of emails, files, photos. Malicious deletion of data by other people / hackers. Data is scattered across many cloud services, so it’s not possible to search across all simultaneously. Businesses and individuals risk fines and other financial losses if important data cannot be retrieved when needed – especially in audit / legal situations. For long term data retention and archiving, you need to keep your cloud accounts active. If you stop paying for your service, your data will be deleted and will be lost forever. 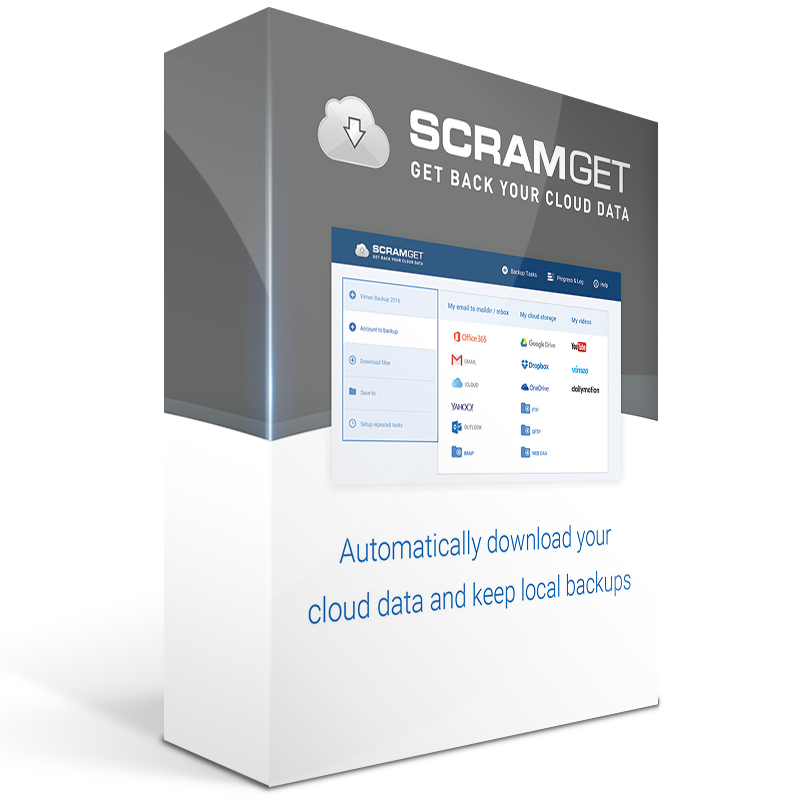 Download and back up your cloud data to a local computer using a product like ScramGet. Download all your cloud data to a central location like your computer, and perform a search from there. Download all your cloud data to a local computer, and copy to archiving media like hard drives and USB flash drives. Keep regular point-in-time backups of all your data. Download your cloud data to a local computer. Once done, you can close your cloud account. 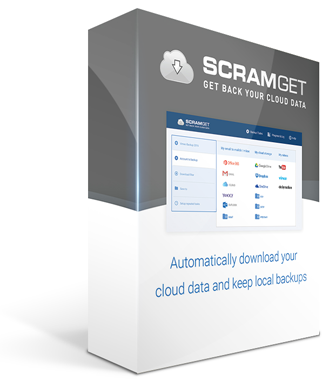 ScramGet is a great tool to help you backup and archive your valuable cloud data and intellectual property. It currently supports downloading emails, contacts, calendar items from Exchange Server and IMAP servers, with more interfaces to come.